Many people from culturally and linguistically diverse backgrounds may not be familiar or comfortable with the idea of planning ahead. Practices related to planning ahead – such as legally appointing a substitute decision-maker – may not be something that happens in their country of origin, where these issues are dealt with more informally within the family. There may be cultural reluctance to discuss particular issues, such as Wills or end-of-life care. Some people may not feel the need to plan ahead as they believe that their family will make all the right choices for them. Some people may be wary about appointing someone else to act for them because they feel they will be losing control. 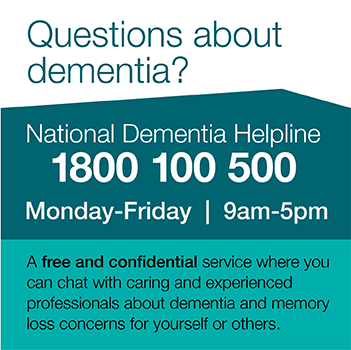 There may be low awareness or understanding of dementia within their community. It may be difficult to get information related to planning ahead, particularly if the person is not literate in English. Planning ahead is relevant for everybody in the community – including people from culturally and linguistically diverse backgrounds. ensuring the person talks about how they want people to make decisions for them if they have to in the future. Planning ahead lets people have some say now about how medical and other decisions will be made for them if they can’t speak for themselves later due to illness or injury. It makes it easier for a family that may have to make decisions about the person’s care if they know what the person would have chosen. It can also give the person peace of mind knowing that they have sorted out some important matters in their life. There are some translated information sheets available on planning ahead issues but it is not always easy to find these. They are mostly produced by state and territory government departments, so the information may be largely relevant for that state or territory only. Apart from having translated materials, it is also vital that information is presented in a culturally appropriate manner. Multicultural workers can play an important role in promoting planning ahead to their community in a culturally sensitive and appropriate way. Some of the ways they can do this are outlined below. Check out the earlier information in this section of the website for health and community care professionals. Find out if there any advance care planning programs in your local area and whether they can provide support to you or to members of your community. Get a general understanding of planning ahead in your state or territory from the section of this website with this information. While doing this, check out the websites of organisations such as the Public Trustee and Public Guardian/Advocate for your state or territory to see if there are any translated resources or programs aimed at culturally and linguistically diverse communities. Check out the in-language materials on this website. Ask members of your community about their attitudes to planning ahead and what forms of support or education they may be interested in. Use a community education approach to set up information sessions in a way that is appropriate for the communities you are working with. This type of education will be most effective if delivered by trusted and knowledgeable members of the community. If there are individuals or families you think need to know about planning ahead, give them copies of the information sheets from this website (if available in their language) and offer to help them if they want to explore the issues further. Allocate time to follow up with any individual or family who wants to explore the issues further, or make arrangements for them to get in touch with a local service where available, or another staff member of the practice where appropriate.